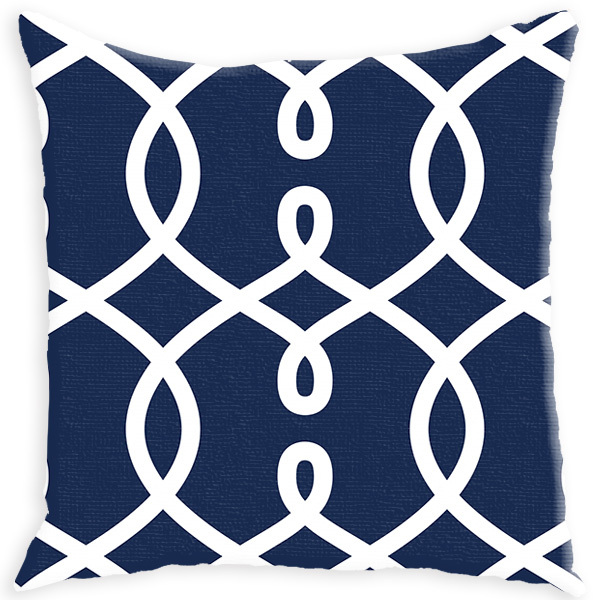 We know you'll love our gorgeous loop pattern throw pillow as much as we do. Shown in navy, with or without a monogram, this pillow will enhance your living space with style. 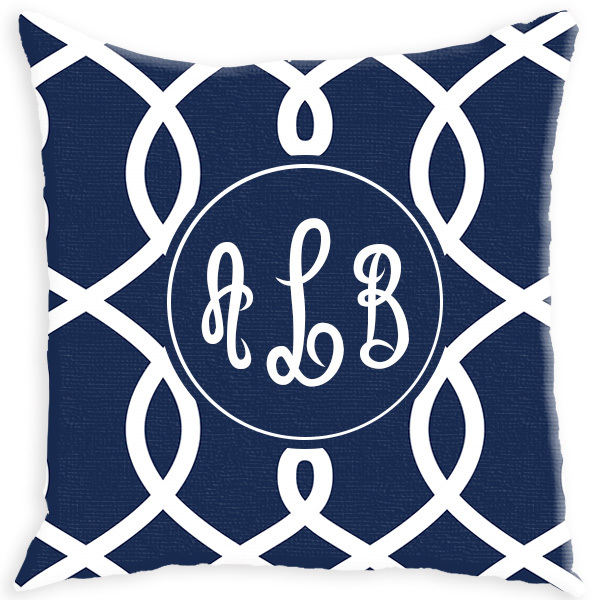 T Make your home as unique as you are with a personalized couch or throw pillow. Choose your favorite color for the design, background, font and frame. Our pillows are cased in a quality, durable, heavy weight fabric.